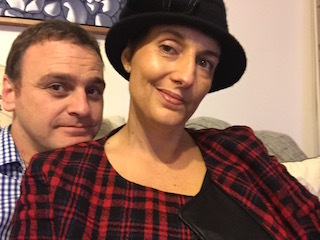 Lecretia arrived back home from Tauranga on Tuesday night, and it’s been great to see her. After the interlocutory hearing I drove out to the airport to pick her up, thinking I was going to be late, but when I arrived I found they were still bringing the disabled passenger lift out to the plane. Unfortunately Lecretia can no longer embark and disembark aircraft without a lot of assistance. You’d think not much would happen in two weeks. To be honest, I was pretty upset with how things had progressed. 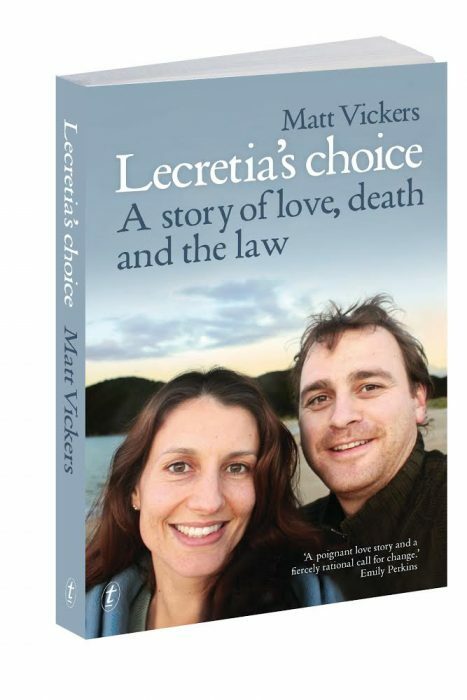 If Lecretia’s mum hadn’t have given me a call to warn me, I would have been shocked, frankly. When I left Lecretia a fortnight ago, she was drowsy, but still mobile, and able to do some things for herself. Now, the paralysis in her left side is fairly advanced. She can no longer move her left arm or left hand at all, it’s sort of curled up at her side like a gnarled branch. When she walks she sort of flicks her left leg forward from her hip, which is the only part of her left side where the muscles are still any good. Her right eyelid droops and her left eye bulges a bit, and her smile is lopsided. I can only put this down to intracranial swelling. She’s taking steroids for that, but she doesn’t like steroids as they make her ravenous and she eats more than she wants to eat and she can’t sleep when she wants to sleep. She’s taking a cocktail of anti-emetics, laxatives, sleeping pills, steroids, anti-epileptics and natural supplements, each with effects and side-effects that are balanced to cancel each other out and provide maximum positive benefit and minimum negative impact. But the mix leaves her drowsy, irritable, hungry, and constipated. The alternative is for her to have headaches, paresthesia, double vision, and risk brain swelling, seizures, and unconsciousness. She’s coming to the end of her current chemotherapy cycle, so she should be feeling better if it was working. Given the visit to the emergency department earlier this month and the swelling I’ll be interested to hear what the doctor has to say tomorrow. Will we do another cycle of chemotherapy? If not, what then? Despite all this, I am so happy to have Lecretia back home with me. She is still the same beautiful girl. She still sings to her cat and loves her food, and is bright and intelligent and incisive. She still aims to get back to work and to head overseas to India after the hearing, with me pushing her from one end of Rajasthan to the other in a wheelchair if necessary. We’re making plans to travel and visit friends with the expectation that we will be able to do all these things. Life is good. After spending the day working on something together that we’ll share more about in the future, we went to Lecretia’s favourite salon de thé with her mum so she could eat cake. I then pushed Lecretia down the street in her new wheelchair and we caught up with some of Lecretia’s workmates who were wishing a colleague farewell. She enjoyed catching up on all the work gossip! The district nursing team have been fantastic actually. They’ve dropped off a walker, a wheelchair, and a shower stool, along with a few other bits and pieces, so we can take care of Lecretia at home and get her around. Of course, Lecretia’s view is that all of this is a temporary inconvenience and that she will be back at work before you know it. And I hope she’s right. Tomorrow we should hear the final decision on the applications to intervene. We’re still hoping for the best. Still looking terrific Lecretia. Good Luck for tomorrow and every day thereafter. Lovely post Matt. Best of luck for the application and best wishes all round. welcome back to lil Wellington, glad we turned on a sparkling day for you. Thanks so much for sharing – your writings are so insightful and bring more understanding to the situation than we would otherwise appreciate. Amazing spirit Lecretia has – I am amazed. Thank you Matt for making your journey personal to those of us who don’t know you but are constantly there in spirit, willing you both along every step of the way. Good luck Lecretia. You appear to be a very strong lady. An inspiration to others…. Ohh – I’m not the only Eileen here! Thanks for another blog Matt – really appreciate your updates!